An Interview with Wendell Pierce, Rev. Hosea Williams in "Selma"
I will admit that I didn't even make it through the trailer for the film "Selma" without the tears starting to fall. A movie of profound inspiration, hope, and conviction, "Selma" is the story of a movement. The film chronicles the tumultuous three-month period in 1965 when Dr. Martin Luther King, Jr. led a dangerous campaign to secure equal voting rights against violent opposition. The epic march from Selma to Montgomery culminated in President Johnson's signing of the Voting Rights Act of 1965, one of the most significant victories for the civil rights movement. Wendell Pierce is a Tony Award-winning producer of "Clybourne Park" and is the host of the nationally syndicated Peabody Award-winning "Jazz at Lincoln Center." A veteran of over 30 films and nearly fifty television shows, Pierce was named one of the "100 Most Creative People in Hollywood" by Fast Company magazine in 2013. You may most recognize Pierce from his role as Detective William "Bunk" Moreland on "The Wire" or his appearances on "Treme" and "Suits." While Pierce has appeared in many celebrated films, including "Ray," "Malcolm X," "Get on the Bus" and many others, his latest film, "Selma," may prove to be his most celebrated yet. Pierce appears as Rev. Hosea Williams, a celebrated civil rights activist and member of Dr. King's inner circle. 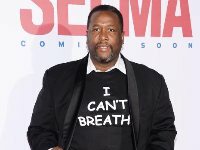 With "Selma" opening nationwide on January 9th, Wendell Pierce took a few minutes and chatted with The Independent Critic by telephone about the film, his own community building efforts, and the continuing relevance of Dr. King's work today. One of the things that really occurred to me as I was watching Selma was that this is truly "our" story or the story of our generation. This happened in our lifetime. I've obviously always known that, but watching Selma made this feel deeply personal. I was also aware just how successful the film was at making this story feel personal. So often, this type of film can feel larger than life. This is an epic story, but it's also a very human story. Yeah, Absolutely. I'm reminded of that when I'm at the screenings and I sit next to Myrlie Evers and see Andrew Young. It's an amazing experience. I tell people that it's not a historical film. It's a contemporary film. There are men and women who were on that bridge that were part of that movement who are still with us. They're fathers and mothers and uncles and aunts. The thing that is so wonderful about Selma is everyone that goes to this film can identify someone that looks like them or that they identify with that was a part of this movement. That was the thing that was so clear about the strategy and the call-to-action that Reverend King put out there - "Come to Selma! Whoever you are, come! If you believe in what we believe in, and I know you do, come! Every walk of life - old, young, males, females, black, white, Asian," and they all came. It is a great American story. The specificity of the men and women putting together a grassroots movement with such strategy and thought...it wasn't happenstance. It was well thought out. It was well planned. I think that's what I appreciate also about the movie - the specifics and the humanity of the ordinary people who did an extraordinary thing. That was the other thing. Even with King himself and everyone in this film, even those you might refer to the "bad guys," they are developed with such a rich humanity and lack of caricature or lack of stereotype. That says a lot about the script and the people who brought that script to life. Right. That belongs to Paul Webb, who did the script. Ava (DuVernay, the film's director) did a lot with Paul to shape the story and help tell the story. They just did a great job to ensure that it wasn't just some antiseptic tribute to an iconic figure and that we saw that there was a man who had the pressures of the world on his shoulders and a shadow that loomed over all of him. The other thing about the movie that I really identified with is the fact that so many people gave their lives so that we can appreciate the freedom that we have and the right to vote. There's blood on that ballot box from those men and woman who paid the ultimate sacrifice, not on foreign soil but on a dusty country road and an Alabama river to protect and secure those same rights. I honor them in that same spirit and that's what makes me so proud to be a part of this movie. I know that the film premiered at AFI in November. If I remember right, it was as a work in progress but received such an amazing reception, a standing ovation as I recall, that we're kind of fast-tracked now? What happened was the end credits weren't completely prepared. There was such a response to the screenings and test screenings that they said "Even though we just have this one final thing to do, this movie is really getting the response that it deserves to receive in its entirety. We'll finish those end credits up in a matter of days." To have people see it at AFI was important. It's a real tribute to Ava DuVernay with a limited budget and just 30 days brought something to life that's going to have an impact for years to come. This is kind of a weird question, but were you surprised by that reception? I don't know if you went to AFI, but were you surprised by that rather awe-inspiring reception? Did you sense when you were filming it? Was there maybe this point where you started to think "We've got something special here?" We sensed it when we were filming it, but you can never be sure. When you're doing it, it's an amazing thing and you're like "Man, this is special" and putting it together feels special. You can only hope that's translated into the film. I felt it once I started to get feedback in screenings and saw the trailer. It's a pleasant surprise. You can never be so presumptuous to assume. We've all been in films where we thought it was going to be great and it didn't turn out to be anything. You hope for the best. In this case, it was the best. You portray Rev. Hosea Williams, who I believe had a history there in Selma even prior to Dr. King. He was more in Savannah, Georgia. He knew the men and women in Selma, Amelia Boynton and Reverend Reese. They were part of the "Courageous 8," they called them. Some people called them the Crazy 8. As they worked, they couldn't quite get the momentum and that's when they reached out to SCLC (Southern Christian Leadership Conference) to come. It just demonstrates that there were so many lieutenants of the movement and lieutenants of MLK who were leaders in their own right. and Hosea Williams was one of them. 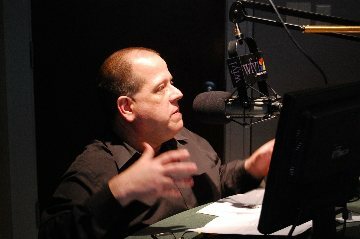 He is known for his work in Savannah, Georgia and then he went to Atlanta. To this day, he started one of the largest social services organizations for the hungry, the Hunger Initiative (Hosea Feed the Hungry and Homeless in Atlanta). He was very courageous, a World War II veteran and very outspoken. Of the group, they called him "The Wild Man." One of the things that I read about Rev. Williams was precisely about his experience of coming back to the United States and, quite literally, being beaten almost right away. It just shows you the true patriotism of these men. My father was a World War II veteran. He came back to New Orleans and on his way back, he encountered a man and told the man that he'd just been discharged from his unit and he was decorated veteran and the guy was like "Yeah, right." It took four decades for my father to let that go. It just shows you the true patriotism of these men who would be denied their rights, yet they would go fight because they believed in the values of the country. They believed in our values, even though they were being denied those very rights and I think that's the ultimate act of patriotism. They believed in those values, even though they were being denied those rights. That's unbelievably patriotic. I know for me, at least as a moviegoer, my favorite films are those films that inspire me to do something, whether that's social action or introspection or to ask myself the tough questions. I left Selma really asking myself tough questions. I think that was part of how it was personal for me. I mean, I found myself wondering "What would I do on that bridge?" I mean, I'd like to believe I'd live up to my ideals but "Would I?" I think the film, in a lot of very powerful ways, has some religious parallels that are undeniable. I'm wondering if you had any experience like that as an actor. Yeah, Sterling Farms. It made me realize that there's so much that I have and that I can do. When I read over your filmography and your background, I was really struck by the diversity of your background. You've got the Tony Award for producing Clybourne Park, the Peabody Award, film credits, television credits, and you've started a couple of non-profits. You seem to have a strong interest in both the artistic and the business side of things. You also seem to have a strong devotion to that community building and that giving back. Yeah, I just want to bring solutions to the table. The thing that was so brilliant about the men and women in the civil rights movement was that they were bringing solutions to the table. They looked at the dysfunctional paradigm and said "What is going to be our contribution to change it?" I look at the work that I do, like the work in the community, and I just remember daydreaming about a kid 20 years from now who stops me and says "Mr. Pierce, what did you do?" I want to have a good answer. I want to be able to say "This is what I did. Let me show you." I'm inspired by my parents who worked hard to build a life during one of the hardest times so that my brothers and I could be successful in the world. It's a legacy passed on that you can't deny and you have to accept. It mostly comes from the same desire that all humans share, which is "Let's try to improve our condition." That's what Selma is all about. That leads me one more question. I want to be respectful of your time and I know we need to wrap up. I just received an e-mail this very morning informing me that 27,000 New York City students would be seeing Selma for free due to the financial support of some of New York City's key African-American business leaders. I find this almost beyond words powerful. Absolutely. That is beautiful. I recommend that children of all ages see this film, and especially students. People should know. If you never examine the mistakes of your past, you're doomed to repeat them. As a country, we say that we want to get past certain issues but we have difficulty having these uncomfortable conversations. It's America's original sin, I like to call it. If you ignore it, it'll just morph and change and be a part of every generation. Slavery turns into Jim Crow. Jim Crow turns into redlining areas. That mentality turns into what we're seeing now with sentencing for men of color. I see the rate of treasury for schools as we privatize our public schools and make them corporations. Is that really in the best interests of everyone? My parents always put it in this context - there are people who do not have your best interests at heart, but that's never stopped you because you can do anything. The "can't" died three days before the creation of the world. There's no such thing as can't. That was an old saying that my grandpa used to say. When you come from that perspective, that there are people who do not have your best interests at heart but you can do anything, your perspective becomes about changing things and not just becoming defeatists or destroyers. If you know you have the tools within you to change things, that's the power of the film being seen by the next generation. It empowers them that "this life circumstance doesn't define me. I will be able to define my circumstance and have an impact on it and change." That's the beauty of those students going into that darkened theater! Selma opens in theaters nationwide on January 9, 2015. The film is rated PG-13. Distributed by Paramount Pictures. In addition to Wendell Pierce, Selma stars David Oyelowo, Carmen Ejogo, Common, Giovanni Ribisi, Lorraine Toussaint, Tim Roth, and Tom Wilkinson among many others. For more information on the film, visit the Selma website.